These professional oil colors are formulated from refined linseed oil, safflower oils, and highly concentrated, lightfast pigments. Tubes issue creamy, smooth, consistent color. Zinc White is the coolest white, and it has a cold, clean masstone and a slightly bluish tint. It has less hiding power and is more transparent than other whites. It dries slowly and is good for painting wet into wet and for glazing and scumbling. Zinc White is neither as opaque nor as heavy as Lead White, its covering power is not as good, and it takes much longer to dry. However, it does not blacken when exposed to sulfur in the air as Lead White does. It is very valuable for making tints with other colors. Unmixed Zinc White dries to a brittle and dry paint film that may crack over the years, so it is not good for frescoing. 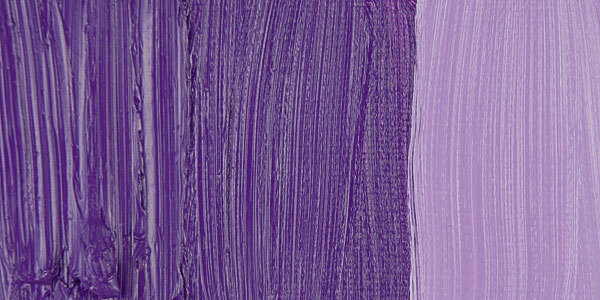 It is more transparent in acrylic form than Titanium White and is the most commonly used white with gouache. 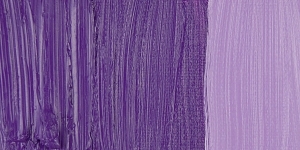 Chinese White is a version of Zinc White appropriate for opaque watercolor techniques. Zinc White has great permanence and lightfastness. Zinc White is moderately toxic if ingested and slightly toxic if inhaled. Though historians are divided on who first isolated the element zinc, they agree that it was first suggested as a white pigment in 1782. Zinc White was accepted as a watercolor in 1834 and was called Chinese White due to the popularity of oriental porcelain in Europe at the time. Ten years later, a suitable oil form was produced. By the early 20th century, it had improved to the point where it was an acceptable alternative to Flake White. Chinese White, French White, Permanent White, Silver White, Snow White, Zinc Oxide.